Contrary to this Photo, Recycling is Not Negative :) - Jill Ruth & Co. Since Monday was Earth Day, I thought I'd show you this art photograph I took a long time ago. If you'd like to read about our local recycling center and it's beauty, click here. I hope your days are going well and that spring will come soon! That is an interesting photo - lots to explore in it. it certainly has taken long enough! I am a passionate recycler, so I really loved this! Great post! 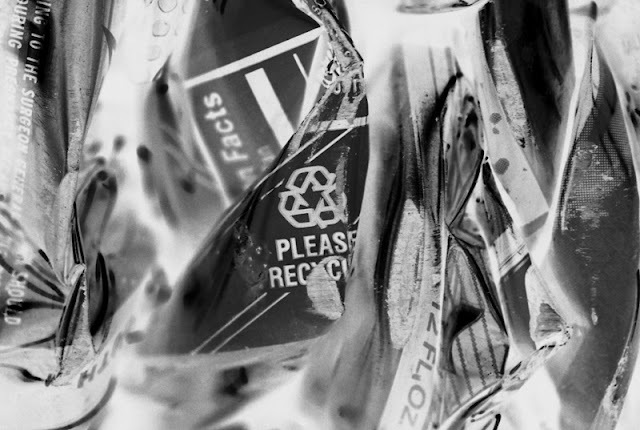 Someone told me the other day....... "about the only thing the younger generation feels guilty about now is recycling." So, the Baby Had a Party.